Though Ian McEwan's hugely successful Atonement follows its characters into the carnage of World War II, it is more concerned with the danger that springs from their mouths and pens. As it traces the disintegration of one English family, it reveals the lethal weakness in words, especially in the act of telling stories--stories like the book itself. But McEwan’s novel is far from weak. Despite a slightly implausible central premise, it is a devastating look at what people do to each other, and the extent to which they can undo it. On a summer's day in 1935, on the Tallis estate outside London, 13-year-old Briony Tallis readies her first play for a family production. Briony's big sister Cecilia has recently returned from Cambridge, unsure of her next move--or her feelings for promising fellow alumnus Robbie Turner, the son of a family servant whom patriarch Jack Tallis has put through the prestigious university. Robbie dreams of becoming a physician. As guests arrive and all prepare for a family dinner, Briony's imagination and her frustrations with her play's production distort her view of the interactions among Cecilia, Robbie and the guests. Briony does something that drastically changes all their lives. The novel moves into World War II. In the British army, a desperate Robbie joins the British retreat from France early in the war. Meanwhile, Briony and Cecilia both become nurses, despite their upper class roots, in efforts to cope with what has happened at the Tallis estate. Even as Briony trains to be a nurse, she continues to dream of writing, sending a novella to a London publisher. McEwan's lengthy description of Briony's hospital-based training is a vivid, persuasive account of British nursing of the era. But it also something truly rare in the arts: a nurse-centric vision of health care. This turns the tables on the all-physicians-all-the-time model that has dominated highbrow and popular culture for decades. Here it is the nurses who take center stage in caring for the horrifically wounded soldiers who inundate the hospital, and the physicians who are so peripheral to the story that we are not even told their names. This is not to say that McEwan's view of 1940's nursing is a happy one. Living at the hospital, Briony is inducted into a female "cult of hygiene" which resembles nothing so much as basic training in the military, with senior nurses as the drill instructors. This model is credited to "Miss Nightingale" and her experience with the military in the Crimea. Every aspect of the "probationers"' lives is strictly controlled. Although there is serious study, much of the work is menial, and the standard of care is, obviously, dated. The emphasis on discipline and bedpans does not reflect the intellectually rigorous, university-based education that nurses receive today, and readers who are uninformed about nursing may assume that nurses are still trained this way. On the other hand, it is clear that nursing is one of the few routes to independence open to women of the day. The nurses have real expertise in a vital field, and they get respect. The senior nurses are forces of nature. Late in the novel, Cecilia speaks to Briony with withering authority, and Briony recognizes her tone as "pure Nightingale." And when the wounded arrive and push the nursing staff to its limits, the harsh regimentation gives way to heroic efforts to cope with extreme suffering and many patients on the edge of death. Basic training is over. As Briony cares for the wounds of those who will live and the psyches of those who will not, working a seemingly endless shift of pain and sacrifice, her skill and confidence grow, and she begins to learn what nursing really is. This may not be the vision of nursing that some would wish to see fixed in the public's mind in the new millennium. The novel conveys little of the nursing process, which involves constant, science-based assessment and intervention and underlies all nursing actions. This may be due to the setting being depicted, a lack of authorial understanding, or the inexperience of the character whose perspective dominates the narrative. Whatever the reason, the result is that most readers will not get a sense of the critical thinking at the heart of modern nursing. 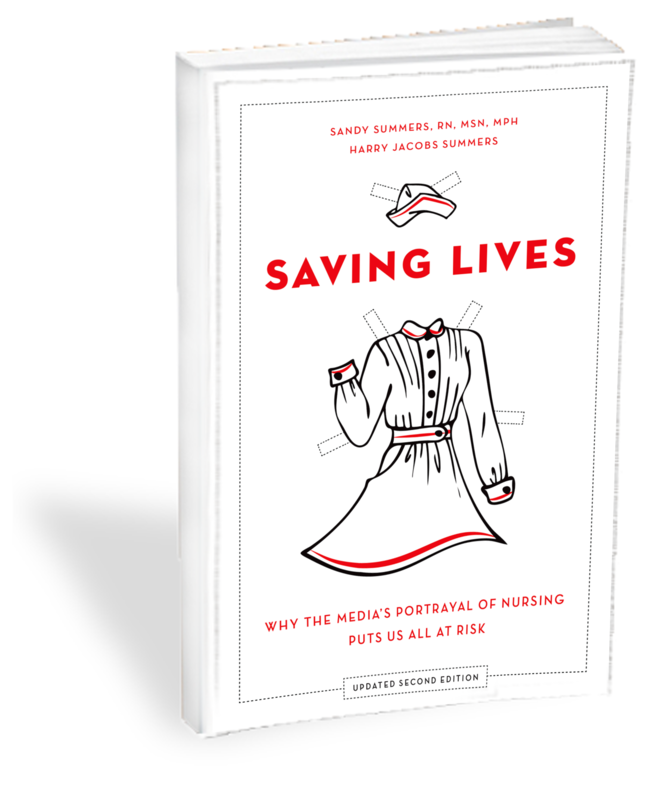 In fairness, most readers will understand that the 1940's is a long time ago--though some may see parallels between the overwhelmed nurses at Briony's hospital and the short staffing most nurses face today. Another issue is the suggestion that nursing is a potential vehicle for "atonement," rather than a profession with rewards independent of any prior obligation. However, it is not improbable that McEwan's characters would choose nursing at least partly for that reason. Some might object that Briony's continuing literary aspirations are a rejection of nursing, and in a sense they may be, on her part. But McEwan is saying something else altogether. Atonement has a brilliant, multi-layered final twist, one that throws a different light on the rest of the work, which is full of smaller twists and sly comments. For instance, the surprisingly positive reply from the haughty publisher to whom Briony has sent her novella notes that her hospital address "suggests that [she] may be either a doctor or suffering from a long illness." McEwan says no more, but the irony is clear: it would never occur to the publisher that a nurse could produce a literary work of such quality. Few great novels feature a nurse-centered vision of health care. Atonement is one. Click here to order Atonement.